One bulkhead, three colour settings. 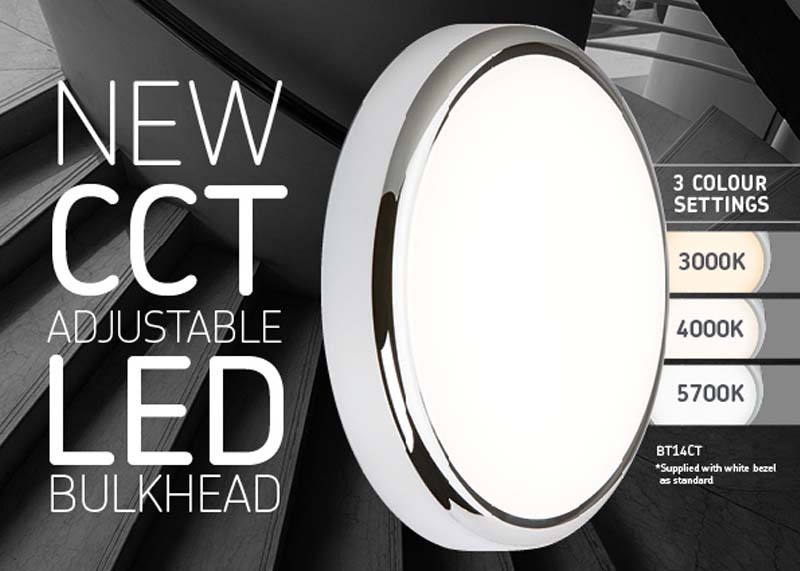 Knightsbridge have launched a new range of long life, high lumen wall and ceiling mountable LED Bulkheads. Unlike previous models, this new range allows users to choose between three colour temperatures (3000K, 4000K and 5700K) at the flick of a switch on the gear tray. Designed for quick and simple installation, these bulkheads come with a hinged gear tray and push-fit terminals for easy wiring. They are IP54 rated and have a low profile design, making them perfect for most domestic and commercial applications. Emergency and microwave sensor models are included in the range. Knightsbridge also offer a full selection of design accessories, including eyelids and bezels in multiple finishes, allowing users to customise their bulkhead to suit its surroundings.